Winter is in full swing and whether you’re spending it wrapped up in blankets by the fire or traveling to tropical climates, I have rounded up my top three candles for you. From traditional winter scents to refreshing ones, find your fit for the season. Wishing you all a happy and healthy 2019! This candle is not the traditional winter scent but I added it in for sentimental reasons. Riptide by Magnolia is the perfect balance of the ocean mixed with amber notes. I oftentimes spend the holidays on the coast up in Oregon which is quite cold but very comforting. I put this candle in the mix for all those spending the winter by the beach, whether it’s a warm or cold one. This SKOG candle by SKANDINAVISK is a more traditional winter scent and is smells exactly how you’d imagine. SKOG is Norwegian and Swedish for ‘forest,’ and the Boreal forests cover half of Scandinavia from the far south to the Arctic Circle. This luxury Scandinavian brand has incredible products and every candle I have by them smells amazing. This candle is a great mix of pine needles, of woodland lily of the valley, musk and aged leather. To round out my winter candles, I wanted to add in a traditional woody scented candle. 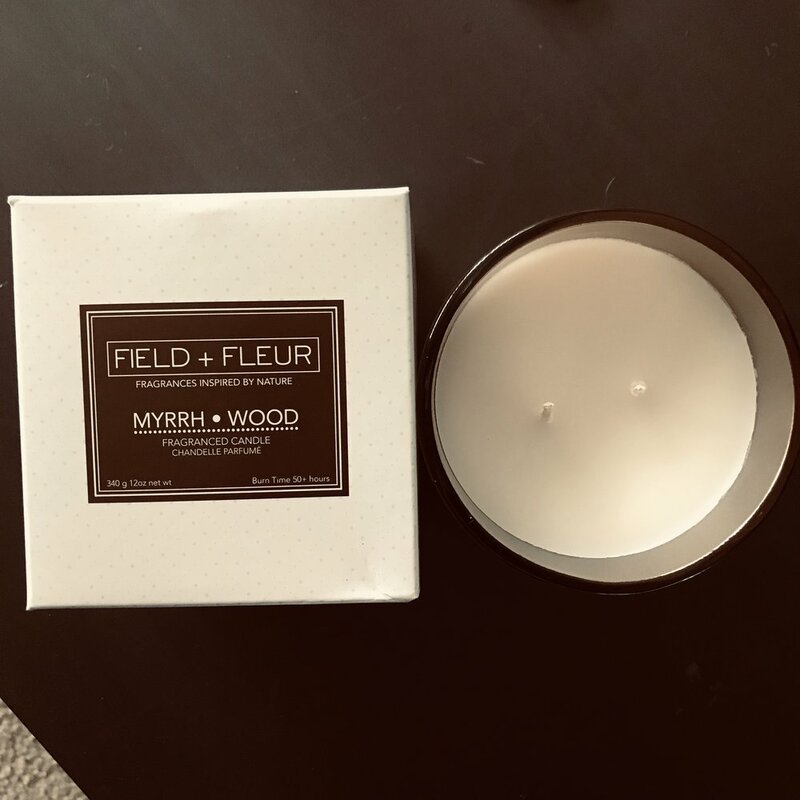 This one is called MYRRH WOOD by Field + Fleur. The notes are patchouli, myrrh, amber and sandalwood. These candles come in different sizes, but I love the packaging of this two wick candles in a glass jar. If you’re not familiar with myrrh, it is a fragrant gum resin that is extracted from certain trees. It’s a very earthy scent which pairs perfectly with wood to create you ideal winter candle.